It is the responsibility of the contractor to furnish adequate forces for meeting specified project schedules as well as quality requirements. The resident engineer should bring unsatisfactory progress to the contractor's attention in writing. Send copies of such letters to the district engineer and Construction & Materials. If the contractor fails to respond in keeping with the intent of Sec 108, the matter must be brought immediately to the attention of the district office and the Division of Construction and Materials. Support all time assessments by adequate diary entries. If a project goes into overtime, the diary should indicate whether each day would have been assessed if it were not in overtime. Review of project history must often rely heavily on diary information. On calendar day and calendar date projects, the diary entry should indicate whether the day would be charged as a working day. This is particularly important for days when the contractor does not work. This article also discusses critical and key project dates and extensions or adjustments of time when progress is adversely affected by items beyond a contractor’s control. The prime contractor is obligated to do a specified portion of the work, as indicated in Sec 108.1.1. Any exception to this clause of the contract must be approved by the Division of Construction and Materials and a change order must be issued to establish the revised terms. Specifications permit the contractor to utilize approved subcontractors to perform up to 60 per cent of the work under subcontract agreement. The Commission is not a party to the subcontract agreement, but holds final approval on all subcontract requests. 1. Check all information on the header for accuracy and determine if the request a) involves a 2nd tier relationship, b) is for a DBE subcontractor, or c) includes any line item with a unit price or quantity that differs from the contract. If any of those three situations apply, then the request must include the subcontract agreement between the prime and the sub. For 2nd tier requests, the agreement between the 1st and 2nd tier subcontractor should also be submitted. 2. For DBE requests, verify that the unit price and quantity matches what is on the DBE Identification Submittal Form. For more information on DBE requests, refer to the article on DBE Subcontracting. If additional DBE subcontractors, suppliers, manufacturers or brokers are proposed by the prime contractor after the project commences, the engineer should work with the contractor to complete the “DBE Termination, Substitution or Additional Request” form so that the total utilization of DBEs can be accounted for on the project towards MoDOT’s overall statewide DBE goal attainment. In addition, any added DBEs need to be evaluated for CUF. 3. The Line No. and Description should be as shown in the contract. If the Quantity and Subcontracted Unit Price differ from the values in the contract, ensure they match what is in the subcontract agreement between the prime and sub. This is necessary since the total percent sublet is determined by subcontracted prices and quantity of the 1st tier subcontracts. 4. Verify that all 1st tier requests include all work they plan to perform, as well as all work they plan to sublet to a 2nd tier sub. The 2nd tier request will only list items the 2nd tier plans to perform. See EPG 108.1.2 Second Tier Subcontracting and EPG 108.1.3 Disadvantaged Business Enterprise Subcontracting for more information. 5. Verify that the requested subcontractor is an approved MoDOT subcontractor, has current insurance, and is qualified as a DBE (if the DBE box is checked). All three of these items can be confirmed by consulting the MoDOT Contractors database. If the subcontractor is not listed, they are not to be approved until they complete their registration. Refer unapproved subcontractors to How to Become a MoDOT Subcontractor. If the requested subcontractor is performing a Professional Service, refer to the Professional Service article for exceptions to insurance and registration requirements. 6. For Federal Aid projects, verify that the subcontract request is accompanied with a completed Subcontractor Certification Regarding Affirmative Action form, and a document listing the name, address, and telephone number of the subcontractor's EEO Officer on the subcontractor’s letterhead. 7. Confirm the request has been signed by an authorized representative of the prime contractor. 8. FHWA 1273 (required federal contract provisions) is included in all federal aid contracts, and it is the prime contractor’s responsibility to ensure that all subcontract agreements also include a copy of FHWA 1273. The reviewer should perform a random check on the submitted subcontract agreements to help ensure the prime is meeting this requirement. 9. If all information is correct and all requirements are met, promptly enter the subcontract information into SM. Verify that the subcontract limit has not been exceeded (A pop-up notice will occur in SM). Apply the MoDOT approval signature to the form. Save the approved subcontract request electronically according to current policy, with an electronic copy sent to the contractor as an attachment to an email. 10. If any of the information on the form is incorrect, or if approval cannot be granted for any reason, the contractor should be notified immediately with an explanation so they can correct the form or take other actions to proceed without delay. Once the subcontract request is approved and work begins, work performed by the subcontractor will be recorded in SiteManager (SM) daily on the Daily Work Reports (DWR) work items tab, with the subcontractor designated on the contractor line. Upon approval from the prime contractor, subcontractors may sublet a portion of their assigned work to another subcontractor. This relationship is called “2nd tier subcontracting”. A separate C-220, submitted by the prime, is required for 2nd tier subcontract requests. The contractor shall disclose the name of the 1st tier subcontractor on the form. The C-220 for the 1st tier subcontractor should list all of the work items they plan to perform, as well as all work they plan to sublet to their second tier subcontractors. The quantity and unit price for each line shall be that designated in the subcontract agreement between the prime contractor and the first tier subcontractor. The C-220 for the 2nd tier subcontract work lists only the work the 2nd tier sub will perform, and shows the quantity and price from the subcontract agreement between the 1st and 2nd tier subcontractors. SM will use the total of all work sublet to 1st tier subcontractors to determine the total percent sublet. The total for the 2nd tier work will not be included in that calculation since 2nd tier work is already included in the 1st tier total. Note that compliance with Sec 108.1.1 and DBE goals are distinctly separate issues and are based on different requirements, as stated in this article. Most contracts with federal participation include a goal for the amount of work to be awarded to disadvantaged business enterprises (DBE). At the time of bid, the bidder is required to list on the DBE Identification Submittal Form all proposed DBE subcontractors, suppliers and haulers to be used on that contract, including the amount for each line item on each subcontract. If the totals do not meet or exceed the goal, the bidder must document all good faith efforts to meet the goal. 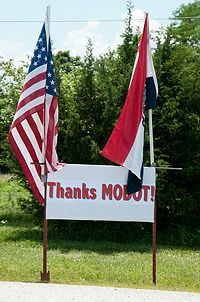 After award of the contract, MoDOT's External Civil Rights Division must approve any change to the DBE commitment. Once a project is awarded, the contractor must submit a Request to Subcontract Work on Form C-220 to the RE for all DBE subcontractors listed on the DBE Identification Submittal Form with the bid. There may be changes proposed with a C-220 that require ECR pre-approval and others that do not. If additional DBE subcontractors, suppliers, manufacturers or brokers are proposed by the prime contractor after the project commences, the engineer should work with the contractor to complete the “DBE Termination, Substitution or Additional Request” form so that the total utilization of DBEs can be accounted for on the project towards MoDOT’s overall statewide DBE goal attainment. In addition, any added DBEs need to be evaluated for CUF. If DBEs are working in a 2nd tier capacity. Increased quantities for DBE’s from what was originally committed on the DBE submittal form. Additional work items can be added to any DBE subcontractor, and additional DBE subcontractors can be utilized for other work items, but no DBE work disclosed on the DBE Identification Submittal Form can be changed without approval from MoDOT's External Civil Rights division. Any work subcontracted from a 1st tier DBE contractor to a 2nd tier non-DBE contractor will not count towards the DBE contract goal. Compliance with the DBE goal is determined by the amounts shown on the subcontract agreement between the prime contractor and the DBE subcontractor, and later verified by the actual amount paid to that DBE once the work is complete. Contractors sometimes hire a Professional Service to perform a support function to one or more line items of work. Use of a Professional Service does not typically require submittal of Form C-220, unless the work is directly tied to a contract line item. For example, Surveying/Staking is considered a Professional Service that does require a Form C-220 when there is a contract line item for that work. When the Surveying/Staking is considered incidental, no Form C-220 is required. The contractor or subcontractor utilizing a Professional Service is responsible for providing insurance coverage for this work if the Professional Service does not have sufficient coverage. Some professional service work may not require registration as a subcontractor. See EPG 110.3 Prevailing Wages and Records for more information on Professional Services. Sometimes the contractor will rent equipment from other contractors to perform work on the project. To avoid the possibility of unauthorized subcontracting, the payroll should be checked to confirm that the contractor is paying the wages of operators and supervision. Checking may also be accomplished during routine labor interviews by determining who pays the operator's wages. The findings of such checking procedures should be noted in the project diary. In lieu of such checking, the resident engineer may accept a written statement over the contractor's signature that all operators and supervisors are carried on the contractor's payroll. 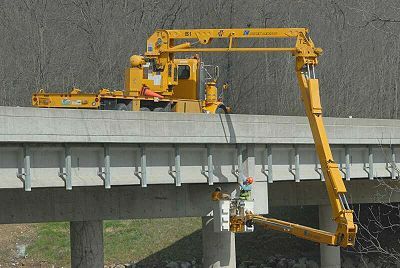 These procedures are not necessary for equipment rented from recognized rental agencies that are not also in the highway construction business. Further explanation of Owner Operator can be found in EPG 110.3 Prevailing Wages and Records. b. A certified copy of the contractor's written notice to the subcontractor of cancellation for cause. After a subcontract has been cancelled, the percentages of work sublet to date should be adjusted. The work involved in the canceled subcontract quite often is proposed to be sublet again. If condition (a) or (b), above, has been met, the proposal should then be handled as a normal request for approval of subcontract. If the contractor requests replacement of a DBE subcontractor, approval must first be obtained from the External Civil Rights Division. If any subcontractor is replaced for any reason, the existing subcontract item(s) of work for that subcontractor are removed from SM. Remarks indicating the reason for the revision are included in the record. No revision of the original C-220 is required. The new subcontractor shall be added using the normal C-220 subcontract process documenting the items of work to be performed. Sec 108.2 provides information on notice to proceed. Early notice to proceed may be granted with the approval of the Division of Construction and Materials. Sec 108.3 provides information on prosecution of work. Refer to Sec 108.4 for information on progress schedules. Sec 108.5 provides information on labor, methods and equipment. Refer to Sec 108.6 for information on temporary suspension of work. Sec 108.7 provides a basis for granting adjustments, suspensions or extensions of time when progress is adversely affected by items beyond the contractor's control. Sec. 108.7.1 covers extensions of time for calendar day or calendar date contracts and refers to weighted time tables on file in the office of the Commission. Weighted timetables (for contracts with and without time exclusions) and examples of proper use are shown in Tables 108.7.2 and 108.7.3 and EPG 108.7.4 Examples. Such requests should be evaluated by the resident engineer and sent to the district engineer along with a detailed study and recommendation. The district may discuss the request with Construction & Materials before rendering a decision. The resident engineer, with concurrence of the district construction engineer, may make adjustments for errors in assessment of time. Requests from the contractor for major adjustments, suspensions, or extensions of time require thorough study by the resident engineer. In many cases the basis for the request is not subject to a clear-cut policy decision. It is necessary that these procedures be followed to ensure uniform administration of the liquidated damage provisions of our contracts. When it is not possible to grant the contractor's request, a thorough report should be sent to Construction & Materials to recover liquidated damages. Assessment of liquidated damages are to be made for projects that are not completed within the allotted time. 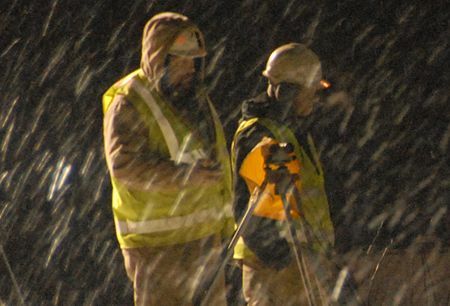 Also assessment will continue when work on a major operation is prevented by weather conditions, curing time, contract restrictions or for any other reason. The two exceptions to this, when the contract is in overtime, are for the sod maintenance period and the traffic signal test period. Liquidated damages will not be charged during the 15-day signal test period unless a malfunction occurs. If such a malfunction does occur during the test period, liquidated damages are to be assessed from the beginning of the test period until the signals are back in service, at which time a new 15-day test period begins. When these conditions exist, liquidated damages are to be assessed for each and every calendar day as specified in Sec 108.8. For a combination of projects awarded as a single contract, the liquidated damages per day specified in the contract are to be divided equally among the projects that remain incomplete. For example: Projects A, B, and C are awarded in combination as a single contract with liquidated damages of $3,000 per day specified in the contract. If all three projects are not completed within the allowed time, each project is assessed liquidated damages of $1000 per day. If Project A is completed but B and C remain incomplete, Projects B and C are assessed liquidated damages of $1500 per day. If Project C is completed before Project B, Project B is assessed liquidated damages of $3000 per day until it is complete. In this example, Project C would have two lines of different liquidated damage amounts per day on the estimate and Project B would have three lines. Allocation of liquidated damages is made on the project distribution tab in SiteManager. Contractors are presumed to have made provisions in their bids for any anticipated delays in procurement of materials. Contract time extensions or suspension of working days should not be based on unsupported claims of delays in delivery of materials. Consideration may be given to delays caused by unusual market conditions such as an industry-wide strike, natural disaster, or area-wide shortage that arises after award of the contract and prevents procurement of materials within the allowable time for contract completion. It will be necessary to evaluate any claim for time extension based on material shortages to determine if the delays were, in fact, beyond the control of the contractor or the fabricator. A work schedule shall be requested from all contractors after the award of a contract in accordance with Sec 108.4. The work schedule should indicate the working or calendar days, depending on the contract control, anticipated to complete the major items of work. The schedule should be reviewed from a production standpoint and be in sufficient detail to allow tracking of major work items. The schedule should provide for continuous prosecution of the work and completion within the allotted time. Approval of the work schedule may be by the resident engineer or the district engineer. If the contractor falls behind schedule by 15 working or 30 calendar days without just cause, the resident engineer should write and request the contractor to expedite the work to the degree necessary to satisfy the approved work schedule or submit a revised work schedule for approval. The contractor should be requested to furnish this reply within ten days. If an unsatisfactory reply is received, the resident engineer should notify the district engineer. The district engineer should write the contractor if the resident engineer receives an unsatisfactory reply or if the contractor falls 25 working or 45 calendar days behind schedule. The district's letter should request expediting the work, revised work schedules and include a reference to the applicable specifications concerning default and termination of a contract. Copies of the district's letters should be furnished to the resident engineer, the Division of Construction & Materials and the contractor's surety. The contractor should be requested to reply within ten days. If an unsatisfactory reply is received, the district should notify the Division of Construction & Materials. If the contractor falls 40 working or 75 calendar days behind schedule, the Division of Construction & Materials will consult with the district and the Chief Counsel's office to consider the option of defaulting the contractor. Consideration will also be given at this time to recommending commission action declaring the contractor a "non-responsible" bidder for future work. Five examples are provided, below. Assume the following: Project costs overrun 2.6%. Contract completion date – September 1. Notice to proceed date – May 5. No time will be charged December 15 to March 15. So, from table the revised completion date is September 4. Assume the following: Contract completion date – December 1. Project was delayed from July 10 through August 5. No time will be charged December 15 to March 15. So from table, the revised completion date is April 27. Assume the following: Project costs overrun 2.6%. Contract completion date – September 1. Notice to proceed date – May 5. Time will be charged December 15 to March 15. So from table, the revised completion date is September 5. Assume the following: Contract completion date – December 1. Project was delayed from July 5 through August 5. Time will be charged December 15 to March 15. Assume the following: Project costs overrun 10%. Contract completion date – October 1. Notice to proceed date – March 5. Working days allowed = 10. Weighted time table units available for project = 60. No time will be charged December 15 to March 15. So from table, the revised completion date is October 3. Refer to Sec 108.8 for information on liquidated damages. Instructions for handling milestone disincentives through SM are provided in the Milestones: Incentives/Disincentives and Adjustments QRG. Refer to Sec 108.9for information on signal and lighting malfunctions, and what to do when an emergency repair is required. Sec 108.10 provides information on what constitutes a default of contract and related issues. Refer to Sec 108.11 for information on the termination of a contract. When contract pay items are eliminated from the contract, the Resident Engineer should notify the contractor in writing as soon as possible so that the contractor can stop any unnecessary material purchases. If the material is delivered prior to notification, use the following guidance to settle the cost of returning or purchasing the material. If the cost of the material is significant, consult with the District Construction Engineer to discuss whether this resolution is appropriate. 1. Request that the contractor make every effort to return the material to the supplier. We should avoid adding inventory items to MoDOT maintenance lots if at all possible. Make payment to the contractor for the shipping cost, return shipping cost, plus any restocking fee charged by the manufacturer. To this total, add an amount equal to 5% of the invoice cost of the material to cover the contractor's general overhead expenses. 2. If the manufacturer will not accept the return, a negotiated settlement with the contractor can be made so that the contractor retains the material at the salvage value. 3. If the material cannot be returned or retained by the contractor, purchase of the material can be made. Delivery of the material should be made to the local maintenance facility. For this option, payment should be made to the contractor for the invoice cost of the material, plus 5% for overhead, plus shipping cost, plus any cost incurred by the contractor for delivering the material to the maintenance lot. Refer to EPG 152 Contactor Bonding Responsibilities and Sec 108.12 for information on notice to the contractor when a contract has been terminated or default has occured. Refer to Sec 108.13 for information on termination of a contract for misconduct. Refer to Sec 108.14 for information related to delays in completing the work. Refer to Sec 108.15 for information related to a suspension of work as directed by the engineer. Project dates are divided into two groups: critical dates and key dates. Critical dates are typically those dates that are needed on a department-wide basis while key dates are those dates that are needed only within Construction and Materials. The SM construction management system includes a set of critical dates that cannot be modified. Since the included dates are intended to be generic and meet the needs of multiple agencies, not all dates are used by MoDOT. A sample project timeline includes most of the project dates. Critical dates can only be modified by system administrators except for the dates on a MoDOT specific screen in SM presented to the user when an estimate is generated. 1. Letting Date (LETD) - The date on which bids for the project are accepted and opened publicly by MoDOT. 2. Award Date (AWRD) - The date of action of the Commission accepting the bid of the lowest responsible bidder for the work, subject to the execution and approval of a satisfactory contract therefore and bond to secure the performance thereof, and to such other conditions as may be specified or as required by law. 3. Signed Date (SIGN) – This date (generally not used) comes from the pre-construction system used by the Design Division and cannot be modified in SM. 4. Execution Date (EXEC) - The date that the contract has been signed by all parties and approved by the Chief Counsel's Office. The contractor has 15 days from award to return an executed contract for execution by the commission. The actual execution date can be more or less than 15 days after award based on the time the contractor takes to return the contract and the time for review and execution by the commission. 5. Notice to Proceed Date (NTPD) - The date on or before which prosecution of the work is to begin. This date is specified in the contract and is generally about 60 days after letting. If the contractor does not begin work by this date, the count of working days begins on this date. If the contractor starts before this date, the count of working days begins when the contractor starts work. 6. Price Adjustments Base Date (PAJB) – This date is used only for fuel adjustments. The base date for fuel adjustments is the first day of the month in which the project is bid. 7. Checked Out to Field Date (CKDO) – This date is added by the system when a contract is pipelined for use on SitePad. 8. Work Begin Date (WKBG) - Date on which work first began on the project. May not be the same as the Notice to Proceed date. Entered by the Project Office. 9. Contractor Bankruptcy Date (BKDT) – In the rare instance when a contractor declares bankruptcy during a contract, this is the date that the department receives notice of the bankruptcy. 10. Contractor Default Date (DFLT) – If a contractor’s performance on a project leads to the Commission declaring the contractor in default, this date is the date of the Commission’s action declaring the default. 11. Substantial Work Complete Date (SWKC) - This is the date that that the count of contract time ends for all projects in a contract. All contract work is complete on this date, including all corrections listed on the last Semi-Final Inspection Form (C-236). Exceptions may or may not remain on one or more projects within the contract. If the SWKC date exceeds the original or adjusted contract completion date, liquidated damages should be charged for the excess amount of time used. If exceptions still remain, this date is also referred to as the “Partial Acceptance Date”, meaning the project is now considered partially accepted for maintenance. If there are no exceptions, this date is equal to the Final Inspection Date. The SWKC date is entered into SM by Project Office staff. What are Exceptions? Exceptions are tasks or test/acceptance periods that are contractually allowed to occur after the contract completion date. 1. Acceptance of permanent seeding in accordance with Sec 805.4. 2. Acceptance of sodding in accordance with Sec 803.4. 3. Maintenance of all temporary erosion & sediment control devices until final stabilization has been achieved. 4. Removal of all temporary sediment control devices after final stabilization has been achieved. 5. Removal of Point of Presence signs approximately 90 days from the date of the Semi-Final Inspection. 6. Retroreflectivity measurements on pavement marking in accordance with Sec 620.2.3. 7. Final Plant Inspection (trees, shrubs, etc.) in accordance with Sec 808.4.3. 8. Thirty-day test period for Traffic Signals in accordance with Sec 902.12.8. 9. Fifteen-day test period for Lighting Systems in accordance with Sec 901.14.1. 10. Fifteen-day test period for Navigation lighting in accordance Sec 901.6.5. 12. Contract Items Complete Date (CICM) – This is the date that SM is locked from any further changes to pay item quantities or contract adjustments. This date is entered by the central office Final Plans Reviewer after approval of the Final Estimate. 13. Original Completion Date (ORGC) - The date specified in the contract for completion of the work if a date is specified or the date computed by adding the number of calendar days allowed to the notice to proceed date if calendar days are specified. There is no Original Completion Date for contracts administered by working days. 14. Adjusted Completion Date (ADJC) - The date computed by adding any allowed time extensions to the Original Completion Date. There is no Adjusted Completion Date for contracts administered by working days. 15. Final Acceptance Date (ACPT) – This is the Final Acceptance date as confirmed and documented by the District Construction & Materials Engineer (DCE) on the Final Acceptance Report (C-239). The DCE makes Final Acceptance after receiving the Final Inspection notice from the RE and confirming that all requirements listed in Sec 105.15.2 have been met. Final Acceptance should be made as soon as possible after receiving the final documentation from the contractor, but no later than the 30 day maximum allowed per Sec 105.10.7. The Final Acceptance date is entered by the central office Final Plans Reviewer. 16. 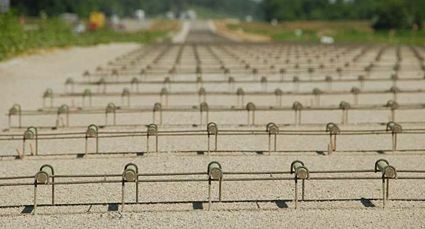 Assigned to Field Manager (FMEX) – Field Manager is a companion product to SiteManager that MoDOT does not use. This date is not populated. 17. Contractor Final Release Date (FREL) – This is the date that the final plans are passed for payment and the contractor’s bond is released. Entered by Central Office. 18. Contract Archived Date (ARCH) – This is the date that the contract data is removed from the active SM database and stored in an archive database. Key dates are defined by each agency using SM and may be used for any purpose. MoDOT has decided to use these dates for tracking the final plans process. The person(s) responsible for entering the key dates and their definitions follow. 1) SRI – Project Completion. This date was entered by the project office and indicated that a project in the “Smooth Roads Initiative” had been substantially completed. SRI was completed in 2006. This date is no longer used. 2) Date of Final Inspection See Sec 105.10.7 for details on the contractual requirements for the Final Inspection. This is the date that all corrections and exceptions listed on the Semi-final Inspection (Form C-236) are complete. If there are no corrections or exceptions listed, then the date of the Semi-final inspection is also considered the Final Inspection date. If there are multiple Jobs within the contract, the date that the last job was completed is the Final Inspection date for the contract. The Resident Engineer documents Final Inspection by recording this date on the Semi-final Inspection form and entering it into SM. Immediately following Final Inspection, the Resident Engineer or DFP&RP shall send formal notification (digitally signed letter) to the contractor stating the date of Final Inspection and relieving the contractor of any further maintenance. The letter should also request that all documents listed in Sec 105.15.2 be submitted to the RE office within two weeks so that Final Acceptance can be made. A sample Final Inspection letter is available. Final Inspection is also the date that starts the “clock” for the completion of the Final Plans. Final plans and materials summaries are to be submitted to the District Final Plans & Reports Processor no later than eight (8) weeks following Final Inspection, except that only four (4) weeks following Final Inspection is allowed when there is more than four (4) weeks between Partial Acceptance (Substantial Work Complete Date) and Final Inspection. The district is allowed an additional two (2) weeks to review and submit the Final Plans to the division. Preparation of Final Plans should not be delayed for such reasons as: waiting for the contractor to provide final documentation, waiting for exception periods, or delays due to contract issues. The Final Inspection Date is entered by the Project Office. 3) Project Data ready for Materials Summary. This date is entered by the project office when the last change order is approved or when it is determined that the current contract quantities are final. The date is used to notify district materials personnel that the materials summary may be completed. Entered by the Project Office. 4) Date Final Plans Recvd at District. This date is entered by the District Final Plans and Reports Processor to indicate that the project office has completed the final plans and they have been received by the district office for checking. 5) Date Final Plans Received at Central HQ. After the district completed their check of the final plans and submits them to Central Office for review and processing, the Final Plans Reviewer will enter this date to indicate the plans have been received in the main office. 6) Date Final Plans Check is Complete. The Final Plans Reviewer will enter this date after completing the review of the final plans and passing them for final payment. 7) Plans Sent to Design. The Final Plans Reviewer enters this date when the final plans are sent to the Design Division for archiving. 8) Date of Materials Summary. Entered by District Materials when the materials summary is completed. 9) Materials Summary Submitted to HQ. When the materials summary is completed and submitted to Central Office, district Materials will enter this date. 10) Materials Summary Received by HQ. Entered by the Division of Construction and Materials when the materials summary is received from the district. 11) Bridge Certifications Received. When Bridge has checked and approved all bridge materials and notified the Division of Construction and Materials that all bridge materials are approved, the Division of Construction and Materials will enter this date. 12) Materials Summary Approved by HQ. Entered by the Division of Construction and Materials after the materials summary is approved. 13) Date Sent to DBE. The Final Plans Reviewer enters this date when the final plans are sent to External Civil Rights for their review. 14) Date Received From DBE. The Final Plans Reviewer enters this date when the final plans are received from External Civil Rights after their review. 15) Date of FHWA Final Reim. This date is entered by the Construction Reports Processor when the final reimbursement is received from the Federal Highway Administration. This date may be quite some time after project completion. This page was last modified on 5 February 2019, at 16:08.